Posted on July 10, 2013 January 8, 2018 Author Karin StewartCategories CharacterTags John Lubbock2 Comments on What do you see? Emerson (May 25, 1803 – April 27, 1882) was an American essayist, lecturer, and poet, who led the Transcendentalist movement of the mid-19th century. Emerson wrote on a number of subjects, developing certain ideas such as individuality, freedom, the ability for humankind to realize almost anything, and the relationship between the soul and the surrounding world. It’s tempting to blame other people, or your circumstances for a lack of peace. However, it’s how we think that will give us peace or not and we need to learn to change the way we think in order to attain peace. Don’t just believe that your thoughts represent the truth because that is what you are thinking. Anxiety and depression are full of faulty thinking patterns that need to be recognized and changed if you want peace. When I’m in a situation that causes me stress or anxiety I ask myself: ‘What I am thinking?’ ‘Are there other ways of looking at the situation?’ When I finally have a thought that gives me peace, I settle for that one. Robert Albert Bloch (April 5, 1917 – September 23, 1994) was a prolific American crime, horror and science fiction. You remember the Alfred Hitchcock movie “Psycho”? Well that was based on the book Psycho written by Bloch. We can’t control the thoughts that pop into our minds, but we can control what we do with the thought, how we let the thought affect us. Anybody who suffers from anxiety knows how anxious thoughts can spiral out of control. Whoops! what do you think has happened? 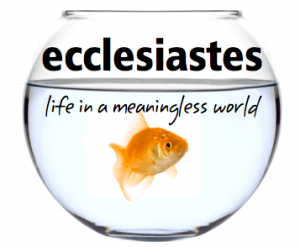 Does your mind run out of control cutting a stream, or raging river of fear through your mind? He’s had an accident, better phone the hospital. Or … He’s having an affair and doesn’t want me to get through to him. And so on and so forth, our minds can get quite carried away, when we presume we know what has happened and also presume that our thoughts are telling us the truth! When that thin stream of anxiety enters your head, don’t let it gather momentum by catastrophizing and predicting the worst. Whatever thought pops into your head, ask yourself if you have any proof that what you’re thinking is right. There’s most likely none! Every time my mind starts getting carried away with disastrous thoughts, I remind myself that I haven’t got any proof! Needless to say, the thought doesn’t go away with one rebuttal, it might take several. The bottom line is that you don’t want to encourage the thought. This is a fantastic tool for keeping control on anxiety. Try it out! Corrie Ten Boom knew the importance of staying focused in the present. She needed strength to get through each day rather than wasting valuable energy worrying about tomorrow. For her, the possibility of tomorrow never coming was very real. The Ten Boom family, were devoted Christians who dedicated their lives serving others. During the Second World War, this dedication was put to the test as they turned their home into a hiding place, for Jews and others hunted by the Nazis. During 1943 and into 1944, there were usually 6-7 people illegally living in their home, 4 Jews and 2 or 3 members of the Dutch underground. By opening up their home in this way they saved an estimated 800 Jews, and protected many Dutch underground workers. On February 28, 1944, the family was betrayed and the Nazi secret police raided their home. Corrie and her sister Betsie spent 10 months in three different prisons, the last was the infamous Ravensbruck Concentration Camp near Berlin in Germany. Life in the camp was almost unbearable. In her book “Tramp for the Lord”, Corrie describes how the camp was full of fleas. Instead of being miserable, Corrie gave thanks to the Lord for the fleas because it kept the guards at a distance, allowing Corrie and Betsie to spend their time sharing Jesus’ love with their fellow prisoners. Many women became Christians in these awful circumstances because of Corrie and Betsie. “There is no pit so deep that God’s love is not deeper still” and “God will give us the love to be able to forgive our enemies” (which amazingly she did). At the age 53, Corrie began a world-wide ministry. She traveled to more than 60 countries in the next 33 years where she testified to God’s love and encouraged all she met with the message that “Jesus is Victor.” Corrie died on her 91st birthday, 15 April 1983. 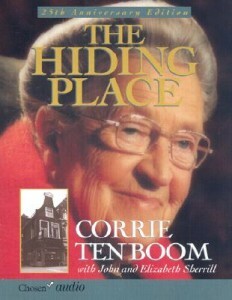 Corrie’s amazing life story can be read in the books “The Hiding Place” and “Tramp for the Lord”. 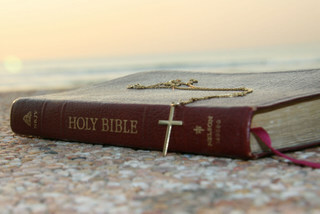 I read “Tramp for the Lord” many years ago and found it truly inspiring book. Posted on October 3, 2012 October 21, 2013 Author Karin StewartCategories Anxiety, CharacterTags Dietrich BonhoefferLeave a comment on Keep moving forward! Posted on August 28, 2012 October 22, 2013 Author Karin StewartCategories AnxietyTags characterLeave a comment on Make the most of the moment! 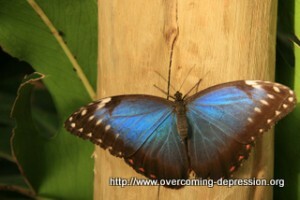 Posted on August 9, 2012 October 22, 2013 Author Karin StewartCategories AnxietyTags winningLeave a comment on Butterflies in the stomach! Ray Bradbury was a great horror writer who was utterly without fear. He never went to college and did all his learning through reading everything including Shakespeare. 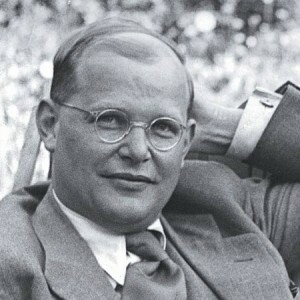 Such was his confidence that he really didn’t care less if all the literary giants accepted him or not, but they did. He never even learned to drive. Best known for his science fiction, he wrote in very genre from fantasy to poetry and he wrote beautifully enough for adults and clearly enough for kids. His advice to writers was: “You’ve got to jump off cliffs all the time and build your wings on the way down”. But isn’t this good advice for everyone? Don’t let fear hold you back from living life to the full – that’s the way you will grow wings and fly! 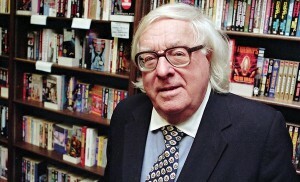 Ray Bradbury died at the age of 91 on the 5 June 2012.